Sussex and Surrey Police’s summer crackdown on drink and drug-drivers will begin on Monday (June 1). As part of Operation Dragonfly – the forces’ year-round strategy to deal with drink and drug-drivers – road policing unit officers will be on dedicated patrols looking for offenders. 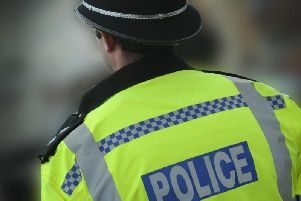 In previous campaigns, Sussex and Surrey Police have named all those charged with drink or drug-driving offences committed during the month-long crackdown. In addition, this year the forces will be releasing footage of convicted offenders showing the state they were in when they got behind the wheel – and how important it is that they are banned from the roads before they hurt anyone. Last summer’s June campaign saw 143 people arrested in Sussex and 91 in Surrey. In a survey by Brake and Direct Line, three per cent of UK motorists – the equivalent of a million drivers across the country – admitted driving while on illegal drugs in the previous 12 months. In the same survey 5.9 per cent of motorists admitted to getting behind the wheel when they thought they could be over the drink-drive limit – the equivalent of a further two million drink-drivers on the roads. To watch footage of convicted drug-driver Neil El-Komboz as he goes from being seen driving while on drugs to being arrested and then placed in a cell, visit https://www.youtube.com/watch?v=MrsBKJRuo6I&feature=youtu.be.